Home > Games	> New Kindle apps! Puzzles and an Interactive Fiction! New Kindle apps! Puzzles and an Interactive Fiction! 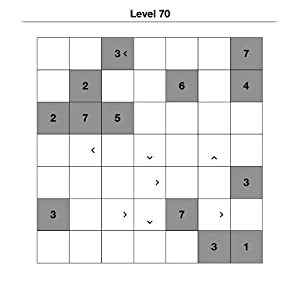 ‘Numdoku (A Puzzle Game for Kindle)‘ by Nice Games is available on the Amazon Kindle site for $0.99. Just click here to download! 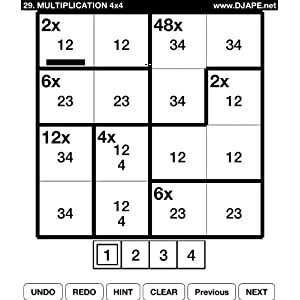 Numdoku is similar to Sudoku, but brings something new and fun for Sudoku lovers. The goal of this game is to fill the entire board with numbers. You start with a smaller board – 4 x 4 – and this size increases. Each number (1 to 4) must occur exactly once in its row and column. Sometimes a sign is shown, which gives you a hint. You must use this knowledge to place all the numbers correctly, so that they comply with these rules. This game contains a total of 80 puzzles – will you be able to solve all of them? Challenge yourself! Puzzle lovers of all ages will enjoy this game! 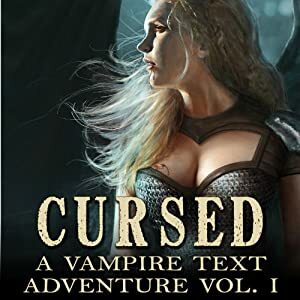 ‘Cursed (A Vampire Text Adventure, Volume 1)‘ (An Interactive Fiction title for Kindle) by Sam Landstrom is available on the Amazon Kindle site for $1.99. Just click here to download! As a spell casting vampire, you are a power to be reckoned with! However, your enemies are more powerful, still. Worse, you have a demon inside that is slowly consuming your soul. Will you find a way to end this curse? Your decisions make the difference in this text-based adventure for Kindle. The game tracks your health, manna, and morale, so you should take care to manage each well. Your score and rank will be shown at the end, and you can replay as many times as you like to try and improve your rank and score. So what will it be? Glory? Subjugation? Death? You create the story. Good luck! ‘CalcuDoku for Kids (A Kids Puzzle Game for Kindle)‘ by DJAPE is available on the Amazon Kindle site for $2.99. Just click here to download! Calcudoku for Kids lets your child play and learn basic mathematics and logic! This Kindle game is designed for elementary school children. It teaches them not just basic arithmetic (addition, subtraction, multiplication and division), but also develops problem solving skills, such as: logic, patience, analytical skills and lateral thinking. With 200 puzzles altogether, there are plenty of games for kids to play. The puzzles start off very easy to introduce and relax your child, but progressively become tougher and tougher. Some might pose a challenge even to you!